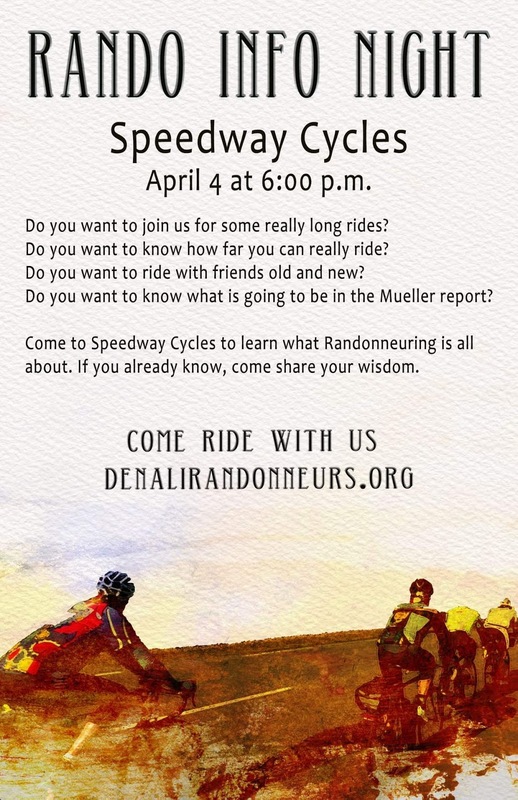 DESCRIPTION: Come join Tom and the gang for discussion of all things rando-related in Alaska. 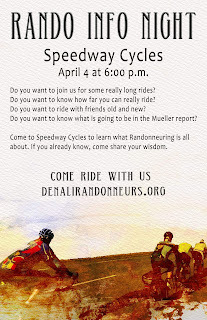 Whether you're a first-year rider or veteran of many thousands of randonneuring kilometers, Rando Info Night is a great way to learn about the upcoming riding season, touch on aspects of fitness and nutrition, discuss bicycle setup and preferences, and hear stories from the road. 2019 is a PBP year, be ready!